As the post-Christmas indulgence blues of January merge with the cold and gloom of February, thoughts turn to the glow of a warm holiday. For those of us not too adversely affected by the country’s economic woes, the glossy brochures or internet sites showing sun-soaked faraway places, adventure-filled or just relaxing, hold great appeal. But there are destinations far closer to home, albeit without the sun-soaked factor that offer the possibility of a highly enjoyable and memorable holiday. 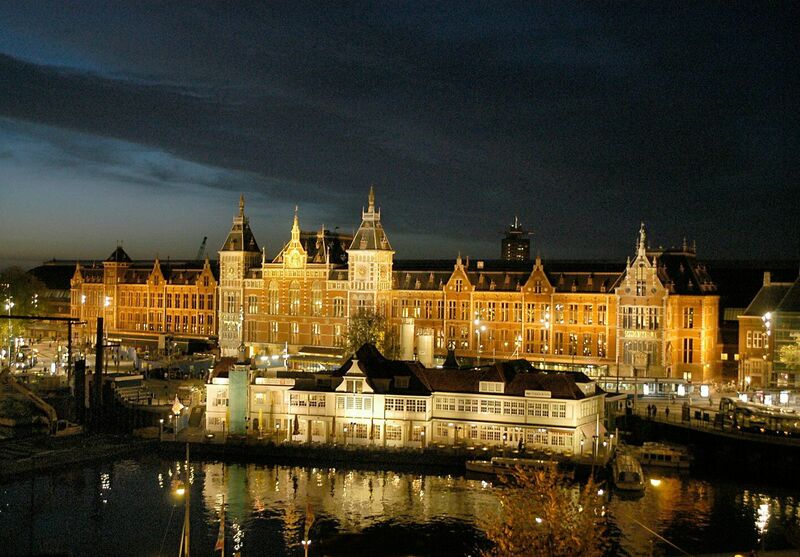 One such place is an all-time favourite city of mine, Amsterdam. With a population of around 800,000 it’s such a welcoming, relaxing place. 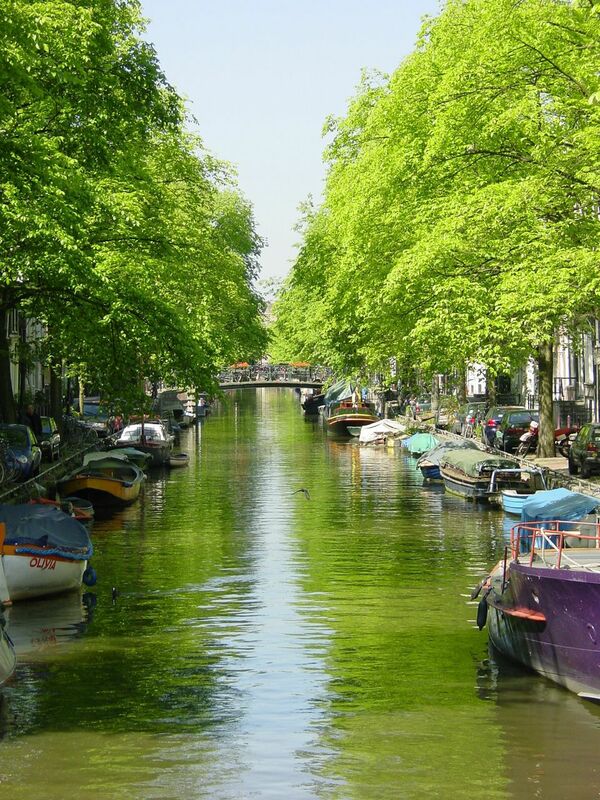 Criss-crossed by romantic canals, its picturesque buildings are adorned with a wealth of flowers. And culturally, it has a wealth of treasures to offer. The year 2015 is significant for a number of reasons. First, the 50th anniversary of Provo is marked by the documentary film The Rebellious City. Provo was the radical political movement that was also a fore-runner of the hippy movement of West coast US and also a major influence on the ‘evenements’ in Paris throughout France 3 years later in 1968. It’s worth remembering that for centuries Amsterdam has been a centre for free speech and thinking and a refuge for those seeking a safe haven from religious persecution, notably Jews from Spain and Portugal and Protestants from France and Belgium. From 20 March to 17 May, the celebrated tulips from Amsterdam, along with an abundance of other flora, bloom in the Keukenhof, the renowned flower park about 30 minutes from the city. 2015 marks the 65th anniversary of the project, which gives new meaning to the phrase ‘say it with flowers’. One of the city’s most famous museums, the Van Gogh, honours this year the untimely death by suicide of the artist. The museum has just undergone a stunning makeover to mark the event and it will also host a remarkable exhibition featuring the works of Van Gogh and that other troubled northern artist, the Norwegian Edvard Munch. With 40 paintings from each artist on show, visitors will have the opportunity to compare and contrast the works and to perceive how both strove to convey the human condition. The exhibition runs from 24 September to 17 January 2016. 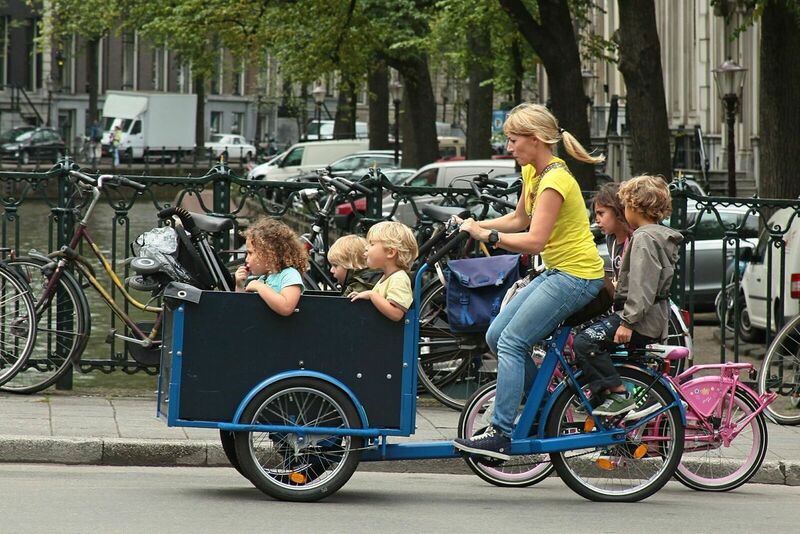 There are so many other reasons to head for Amsterdam this year. The Stedelijk Museum is celebrating its 120th birthday and is putting on a landmark exhibition of the works of Henri Matisse entitled Oasis, complementing the hugely successful exhibition of the artist’s cut-outs at London’s Tate Modern last year. Oasis runs from 4 April to 16 August. And the late works of Rembrandt, drawing on the exhibition recently seen at London’s National Gallery will be on show at the world-famous Rijksmuseum from 12 February to 17 May. While there, it’s a must to contemplate the artist’s Night Watch, perhaps one of the world’s greatest works of art. Unusually, in June and July, the Beach Volleyball World Cup will be staged in the iconic Dam Square, Amsterdam being one of the four Dutch cities to build temporary stadia for the event. London did, of course, showcase the same sport on Horse Guards’ Parade for the 2012 Olympics – beach volleyball can clearly make itself at home anywhere! As in so many European cities these days, a wide, sandy beach will appear for visitors and residents alike to ‘be beside the seaside.’ And to continue the water theme, from 19 to 24 August, the biggest maritime event in Europe will happen, as it does every 5 years, when a parade of 5000 of the world’s finest sailing vessels are moored for the millions of visitors to the city to contemplate and wonder at. Finally, looking forward to 2016 when Holland holds the presidency of the EU, it will showcase its most famous city as one of great international diversity. 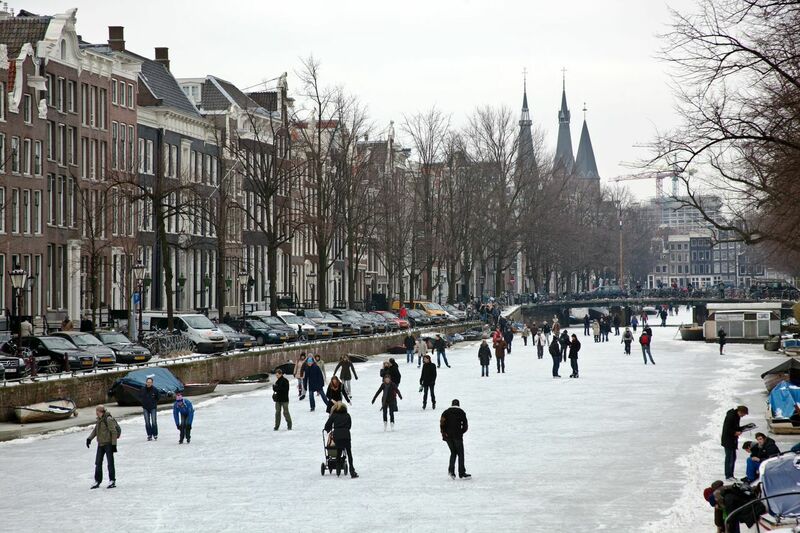 And so this year, next year and any year will be a great time to visit Amsterdam. Hollywood Costume opens Saturday at the V&A! This show is a stupendous retrospective and archive of costume memorabilia from one early film to the present day. A “must” for film and theatre makers and buffs … there are over 130 outfits displayed which have taken five years to gather. The montage and audio visuals are stunning and innovative – collating interviews, discussions, anecdotes and drawings as well as the outfits. The curators and their team have used everything creatively to bring the exhibition to life – projection, screens, montage, props, drawings , lighting fx, interviews and script experts, emotive film scores heighten the experience. I have worked as a designer for film, opera and tv for several decades, and enjoyed the reaffirmation that the design is about creating character and helping to bring that character to life. It is very different to the world of fashion. Ultimately the two worlds overlap when the audiences fall love with or are moved by the characters in a story and that character becomes a symbol or is iconic and influences the world of fashion. The interpretation of period costume in films is often combined with the spirit of the time in which it is made giving a twist to the genre. Yet the overall result should be to advance the drama. That is the motivation and the raison d’etre of design for stage and film. The story is paramount and the starting point of any movie and so unfolds the characters and the humanity. A curator told me that she was moved to tears when she saw Charlie Chaplin’s suit. When I am researching a design or costume project I often go and look at garments to see how they were made and to study the tailoring but for me this exhibition is not about the technique and the tailoring of the costumes but about the characters and the motivations – the association is far more important. The associations and emotions from the memory and iconography in these films have become so closely entwined … I defy you not to be moved by seeing and experiencing many of these characters and “revisiting” them ! A very enjoyable and experiential exhibition. Last century, there were a few film directors who rewrote cinema. Apart from London-born Alfred Hitchcock, geographically the closest to South East film buffs was Stanley Kubrick, New York born but happily settled in Childwickbury, just north of St Albans, for many years before his death. Known as an obsessive who valued his own privacy and space above all else – his classic A Clockwork Orange was withdrawn from circulation for many years in the UK because he didn’t want to engage in discussion about its potential for social harm – it’s hardly surprising that this silent iceberg of a talent had the potential to overshadow his talented wife, German-born Christiane. Life is always hard for the lesser-known partner in a well-known relationship. Whatever their achievement, they always face the danger of being just a footnote to a more famous life. However, Christiane Kubrick has always done her own thing and has gained an international reputation as an artist to boot. Descended from a melange of theatre directors, actors, writers and musicians, Christiane’s parents were opera singers and encouraged her into a career in the theatre, although her impulse was always to paint. However, she found early success as a dancer and actress – this included leading roles in theatre, radio, TV and film productions, when she was seen by Stanley who cast her in the only female part in the film Paths of Glory. But the desire to paint never left her. Despite family commitments, she continued painting, studying at UCLA, the Art Students League in New York and at St Martin’s School of Art in London. Then, following a family move to the UK in the 1960s, she began to exhibit – the Cork Street Galleries the Grosvenor Gallery, the Drian Gallery and the Mercury Gallery. Later, Christiane was elected Chair of the Women’s International Art Club, founded with a legacy from suffragette and artist Sylvia Pankhurst to defy a law that prohibited women from exhibiting their paintings. And she was also chosen four times for the Royal Academy Summer Exhibition. At the same time, her work appeared in her husband’s films – in a curious mirror image of wardrobe designer Shirley Russell’s contribution to her husband Ken – as well as in works by Steven Spielberg, on a CD cover design for cellist Alexander Baillie and the cover for a novel by Gabriel García Márquez. Her paintings have been widely collected in the USA and Europe, with both prints and posters published, first by Athena Fine Art Posters and latterly by the Bentley Publishing Group. Many are reproduced in a series of fine art books in Japan and in 1990 a selection was published by Warner Books in a book Christiane Kubrick Paintings* selected as Art Book of the Year on American television. Enough? No, there’s more! In keeping with the theatrical tradition in her family, she designed the sets for the Palace Opera’s successful production of Hansel and Gretel which was chosen by the Queen Elizabeth Hall in London to be its Christmas Show for two consecutive years. That experience of theatre design led her to use an Apple Macintosh computer and the computer program ‘Painter’. She now uses these as a complement to her painting and also as a tool in her multimedia projects. Her recent activities include exhibitions for Art in Action at Waterperry (Oxon) and Open Studios (Herts). She teaches regularly at workshops in Hertfordshire and Shropshire, as well as exhibiting and selling her work over the web. Let us then take Christiane Kubrick as her own person, an artist of substance – ironic, humorous, whimsical but full of substance. IB: Have you always painted? CK: I have painted all my life, I have painted professionally, from the age of 25 – before that I needed to learn how to draw. I come from an extremely theatrical family, so that’s all I ever really knew, opera and stuff. And I had a puppet theatre from day one it seems to me and I repainted the puppets and I learnt how to sew, I really learned painting, sculpture and sewing and all that in my wish to build the theatre and I made sets – sadly I don’t have them any more because the early ones must have been very funny. IB: That was important to you? CK: I know I gave it everything I had and I started to play with electric lights and water – nearly killed myself! When I think hard, because the children have asked me about these things, I think it was when I had all the childhood diseases. When I had scarlet fever I remember just doing the theatre for weeks – that’s why I think I was better in class at drawing than the other children, just simply by doing it all the time. Later I studied at St Martin’s School of Art and wherever I could in between babies and stuff! IB: You’re German. What’s your background? CK: I was born in 1932 in Braunschweig, a town in North Germany. I then lived in many different places as my parents were opera singers. Later, I was evacuated and I lived in my Nan’s relatives house in a brickworks, in the countryside. Then I lived with lots of other people after the war and went to boarding school. I was 23 when I met Stanley and we got married a year or so later. I had been married before – criminally young – and had my eldest daughter, Katherine, in Germany before I went to the US. Stanley and I had Vivien who lives in California and Anya**. IB: Moving to your paintings, the colours you use are very vivid, strong. Are they what you see or what you’d prefer them to be? CK: I tend to see the world in bright colours, but now I’m longing to use more muted versions. I hope it comes not from growing older but from being more sensitive. CK: Yes, it goes in phases. It’s a bit like handwriting – one day you write and it looks okay and another day you think how beautiful and neat it looks. Seems to be true of painting too. IB: Do you sell most of your work? CK: Well, it goes in waves, I sold very well at first on the Internet but that was because I was riding on Stanley’s coat tails and when he died lots more people looked me up, otherwise I think I wouldn’t be looked up that much. So that was good for sad reasons. It seems to have evened out. I sell at ‘Art in Action’, I sell to people who collect my work – overall I have sold a little over half my work. Of course, when I was young I sold them very cheap and I sold lots! IB: Away from art, what makes you angry? IB: What don’t you want to talk about when you’re asked for interviews? CK: Some journalists are very clever and they surprise you. I hate that perplexed moment when you gush out the first thing that comes to your mind, or you are dumbfounded and you say nothing. Either way you look a fool. IB: What sort of things? CK: There were a lot questions about whether Stanley minded my being German – that kind of thing. People just assume that you’re a kiss and tell person – that’s insulting. I didn’t want to appear to be an idiot – it was that very thing that Stanley was afraid of with the press. He said that you do your very best, you work very hard and you only show the stuff you think is really good and then in an interview it’s undermined by nervous babble. He only wanted to talk about things he had considered carefully. He didn’t think he was quick witted enough to cope with intense interviews. IB: Of course, you were married to Stanley and supported him. But what did you personally think of his films? CK: I liked all his films, each one in its own way as they were very different from each other. As a painter I liked very much Barry Lyndon and 2001 – I liked the last one very much. Perhaps I felt the least connection with Full Metal Jacket where the topic was more alien, but I thought that was a good film as well. So much time was spent on each one they represent whole periods of my life and I don’t have a favourite film. It depends on my mood at the time. IB: He worked at home, though? So you were involved? CK: He worked at home and prepared the film at home. It usually started when he read a story he really liked and he would talk about that particular story and how he could make it. Then, if it was really something he thought would work, he would make a budget and work out the casting. It took a long time to do it carefully and he enjoyed the preparation enormously. The driving force was a longing to see the story on screen. IB: So you knew everything that was going on with his films while he was making them? CK: Yes, because it happened at home. IB: What did you learn from him? CK: I learned from Stanley that you had to be thorough and patient, not self indulgent. He was good at putting different hats on. He was producer, business man, director. One instance I can remember was where he really liked a particularly long scene. He said “I think it’s particularly wonderful but it’s too long. It doesn’t help the whole enough for me to put it in.” And he whittled away at it. Often it was very painful to let go of something he thought was really good and he’d put it in, take it out, suffer in other words, but he also expected to do that. Paintings are slightly more protected because they will be there no matter what. The worst thing that could happen is I don’t sell but there are no other people pulled in, no one else suffers and the whole thing doesn’t collapse because I do a lousy painting. Film is different, it is so big and expensive. It needs ability and endurance to succeed, only a few people can do it, and Stanley did. If you would like to enter the prize draw send an email to editorinbalance@me.com with Christiane Kubrick Paintings in the subject box and your full contact details in the text box. Last day of entry 10 November 2011. One entry per household. Watching it is quite an extraordinary experience because it is like no other commercially successful animated film. 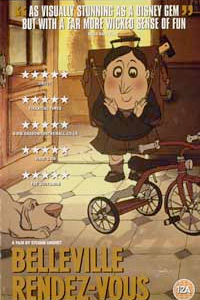 The storyline is very basic: a lonely young boy, Champion, lives with his caring, club-footed grandmother, Mme Souza, who first of all gives him a young puppy, Bruno, and then a tricycle. Years pass (in a flash) and suddenly we find that Champion has lived up to his name and is a front rider in the annual bicycle race, the Tour de France. What follows is a breathtaking adventure as Champion is kidnapped by ‘men in black’ and Mme Souza and Bruno give chase and find themselves in an urban sprawl that just might be Manhattan. They are aided by the Triplettes de Belleville, a trio of ageing female singers à la Andrews Sisters and against all odds, of course, they rescue him – a real triumph for the little guys. But a jumble of words tumble out when trying to describe this film: anarchic, grotesque, warped, expressionistic, surreal … And more than one reviewer has read a deeper meaning into the film by declaring it decidedly anti-American. Well, perhaps. The inhabitants of Belleville are shown largely to be overweight, over-helpful people and the city itself is one of hectic traffic chaos. But the singing sisters, the good guys, are also are given a most bizarre characteristic, that of catching frogs and eating them stewed and kebabbed – the whole frog that is, not just the legs! So maybe looking for a deeper meaning should be given a miss and the film should just be enjoyed for what it is, an extraordinary experience from start to finish. I confess that when it was first released in cinemas I gave it a miss as I’m not a lover of cartoons. But having been persuaded to watch the video I’ve seen the error of my ways. Try to catch this one if you can – it’s unlikely you’ll ever see anything quite like it again! Jeannette Nelson A bit of a culture vulture, Jeannette enjoys art exhibitions, cinema and classical music, but her main interest is the theatre. For several years she ran theatre discussion groups for which her MA in Modern Drama together with teaching skills stood her in good stead. She prefers to concentrate on the many off West End and fringe productions as well as that real treasure of the London theatre scene, the National.